The transition to college can be hard for any first-year student: adjusting to a new home, new friends and a new level of school work. 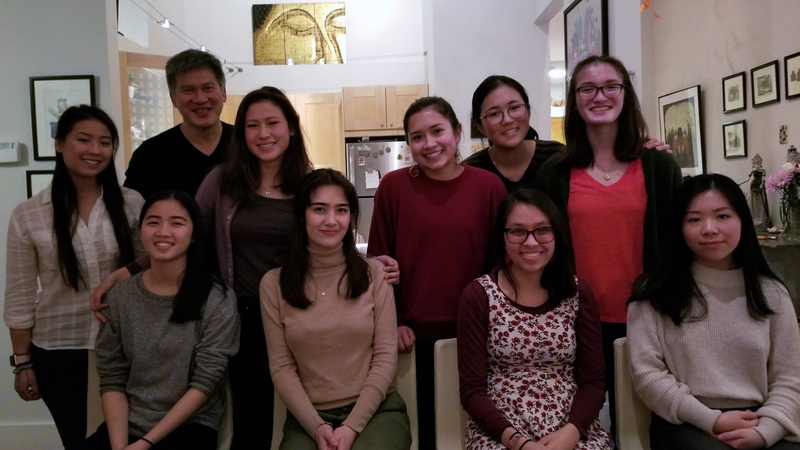 Mount Holyoke tries to alleviate some of this stress through the First-Year Seminars Program, where students participate in small, writing-intensive, discussion-based courses. Seminar subjects range from Jack the Ripper to Latin American social movements. The summer before my first year, I selected Chinese Diasporic Communities as my second choice on the first-year seminars application. Although I am half Chinese, I knew very little about Chinese-American history, as it was hardly mentioned in my high school history classes. In college, I could finally learn the history I had missed out on for so many years. My seminar classmates, who were mostly Chinese, included adopted students, international students and mixed-race Chinese students. Seated at a rectangular table with Five College Associate Professor of History Richard Chu, we began engaging in discussion and debate over our readings. Our first trip off-campus was to Oriental Flavors, a restaurant in nearby Amherst. The dinner, the first of three that was paid for by the College so it would be accessible for all, was a great bonding experience. Together we learned how to get off campus and navigate the PVTA — the region’s bus service — and I grew closer to my entire class. At 6 a.m., I woke to the sound of my blaring alarm. 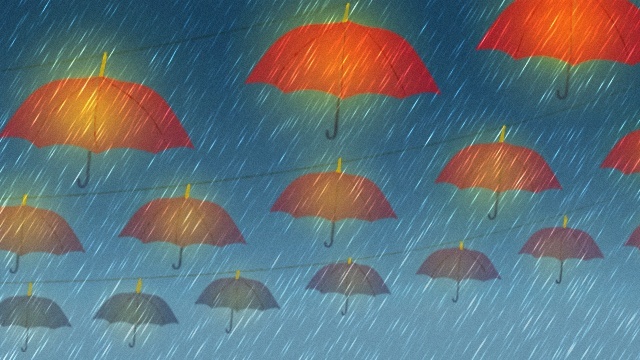 With rain boots on and umbrella in hand, I hurried across campus to Skinner Green to our bus. This was the trip that I’d been looking forward to since the first day of class. By 11 a.m. we’d arrived in New York City’s Chinatown, where we visited the Museum of Chinese in America. Our tour guide took us through the small-but-intimate museum. For over a month we’d been reading Iris Chang’s “The Chinese in America,” her effort to tell the history of Chinese in America. While the material had been impactful to learn about in the classroom, it couldn’t compare to the power of seeing in person racist propaganda and artifacts targeting Chinese-Americans. The museum, however, not only told of oppression, but also of success. Walls were lined with descriptive plaques of the breakthroughs by Chinese-Americans in science, film, humanities and other fields. Visiting the museum, I saw the appalling extent to which both the persecution and successes of Chinese-Americans have been glossed over and ignored in American history. 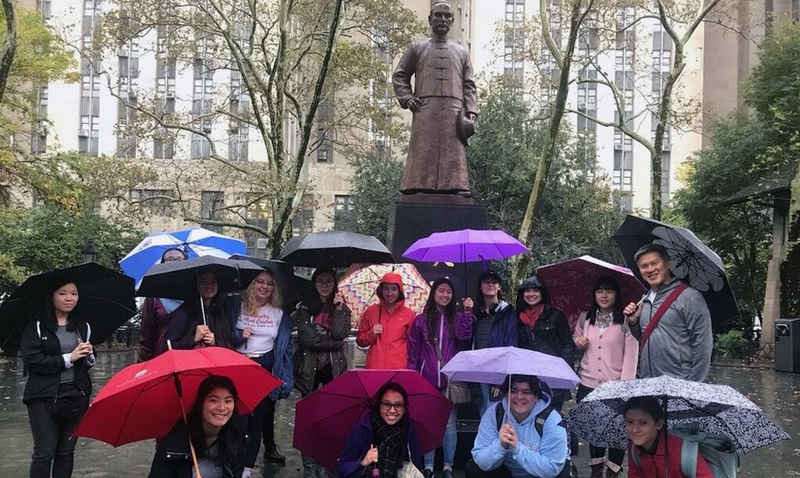 The rain was ceaseless upon departing the museum as our tour guide took us to different historical locations in Chinatown, including Columbus Park. We stripped of our wet coats at a restaurant, where, for some students, it was their first time having dim sum. After, my friends accompanied me for a very windy and wet walk around the city in our hour of free time. By the time we departed, the bus was full of students soaked through to their socks. We topped off the day with great Vietnamese food in Springfield. The end of the semester was a time for reflection. As I looked back on what we had learned and accomplished — four papers and a group project on the Chinese diaspora in Japan that included a 21-page paper — I felt prepared for future semesters and writing-intensive courses. Through my first-year seminar, I also made my closest friends on campus. They are the ones that I eat and study with, who check in on me when I’m feeling down or sick, who come to my horse shows and who join me for off-campus adventures. We held the last class on our own — it was technically cancelled due to my professor’s travel schedule — but we wanted to use the time to work on our projects, watch “Mulan” and eat together. The final project was an open-ended research paper and could be on anything that correlated with the class material. I wrote about Lee, a Chinese servant in my favorite book, “East of Eden.” I analyzed Steinbeck’s racial awareness, the accuracy of Lee’s treatment by whites in relation to the time period, and the societal significance of Lee’s character. The class departed that day with a note of sadness and a wave goodbye. 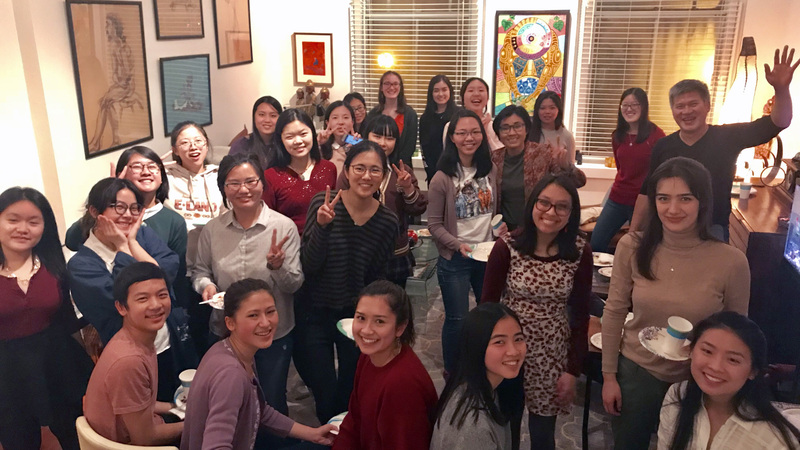 Soon after the start of the second semester, we gathered at my professor’s house to celebrate the Lunar New Year. There, I spoke to a student who was in the first Chinese Diasporic Communities seminar three years ago. She said that their class still meets up occasionally. 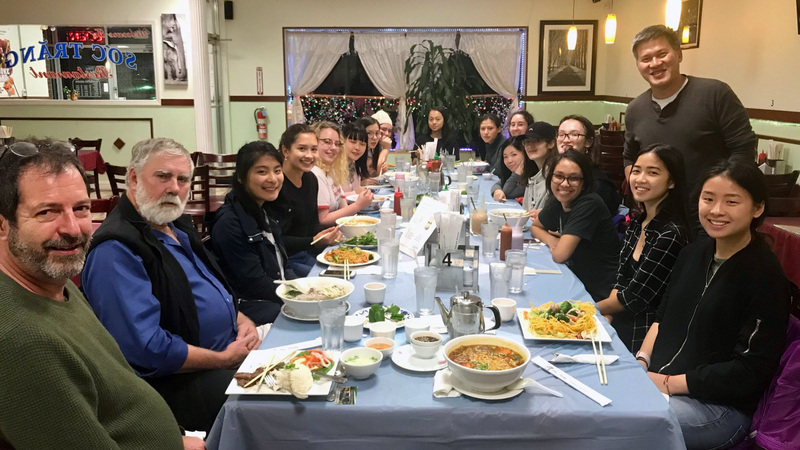 As I sat among friends, I was struck that not only did Chinese Diasporic Communities give me valuable insight into the history of Chinese-Americans, it also brought me into my own community at Mount Holyoke. I am forever grateful to my first-year seminar, and for the learning, laughs and friends that it gave me. 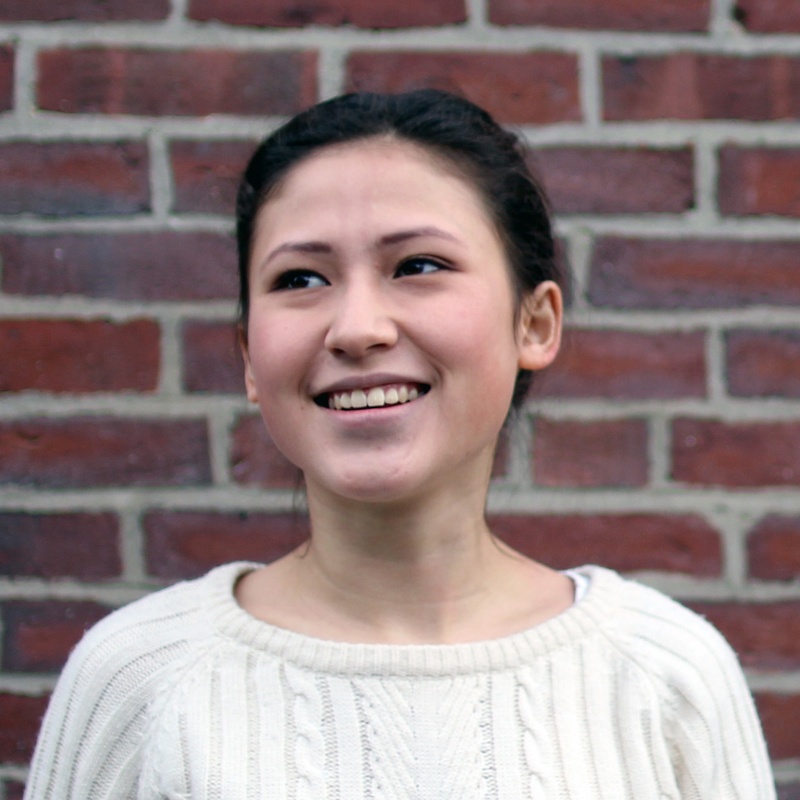 Cayley DeLancey ’21 is from Cambridge, Massachusetts, and plans to double major in German studies and environmental studies with a Five College certificate in sustainability studies. As a member of the dressage team, DeLancey spends a lot of her time at the Mount Holyoke Equestrian Center. In the future, she hopes to work for the National Park Service or in a job focused on sustainability.